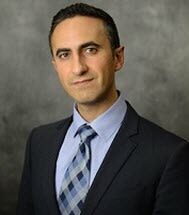 The Law Offices of Ben Yeroushalmi, APC is among California’s elite Nursing Home Neglect, nursing home negligence, and Elder Abuse law firms. Led by experienced and aggressive trial lawyers and litigators, the firm leads the statewide battle to shield and protect elder and dependent adults from abuse and neglect. Our attorneys represent nursing home residents and their families across California in individual Nursing Home Neglect and Elder Abuse actions. We fight to protect the elderly from deplorable injuries such as bed sores (pressure ulcers), dehydration,malnutrition, infections, wrongful death and other unfortunately common instances of abuse and neglect in California nursing homes. If a nursing home injury has led to the death of a loved one, our nursing home litigators are experienced in representing surviving family members in wrongful death actions. Contact us today to schedule a free consultation. We take pride in fighting relentlessly to hold all culprits of elder abuse and neglect accountable.